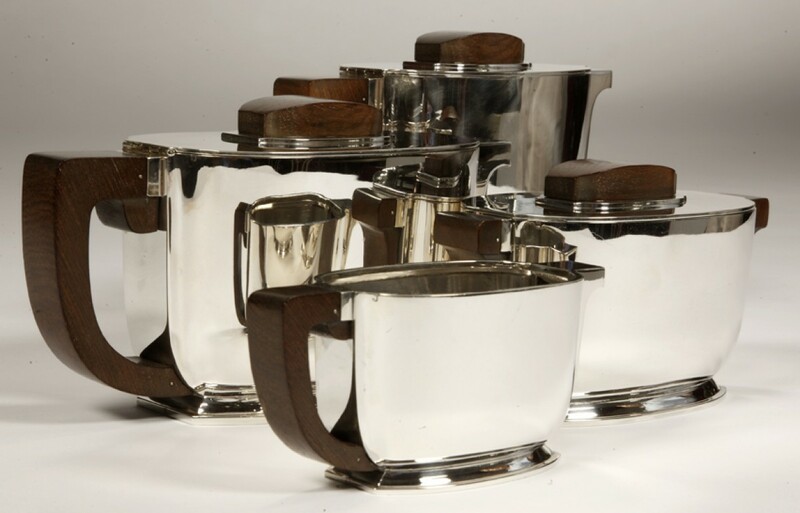 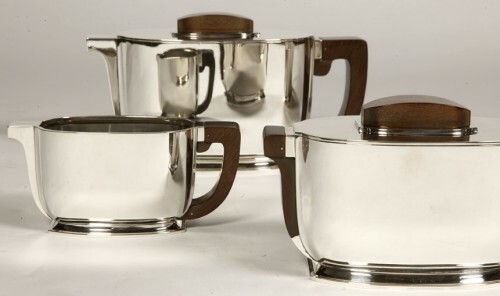 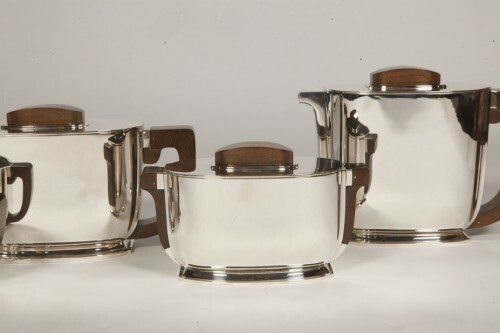 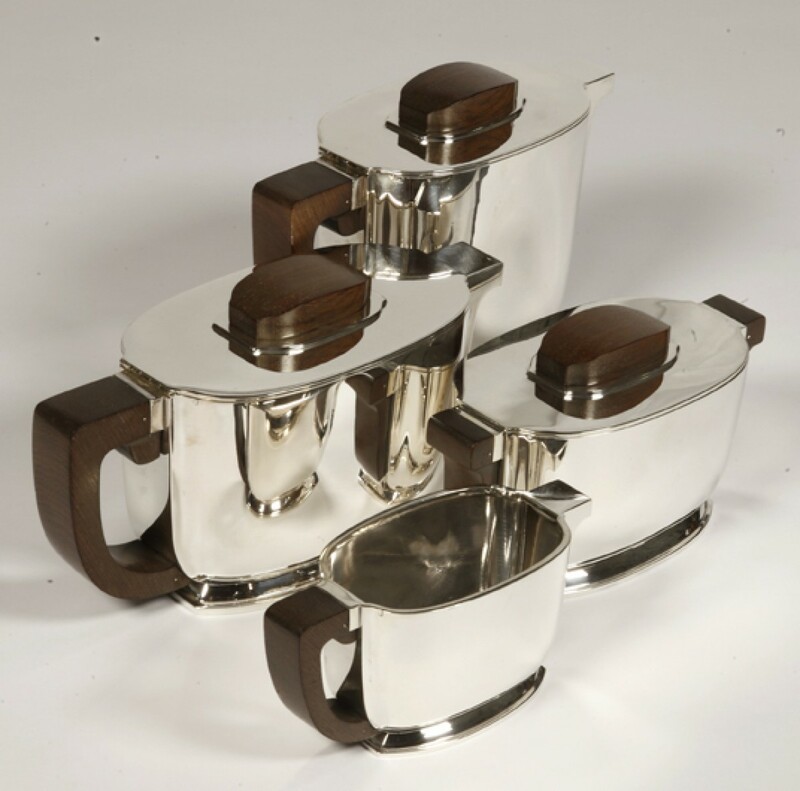 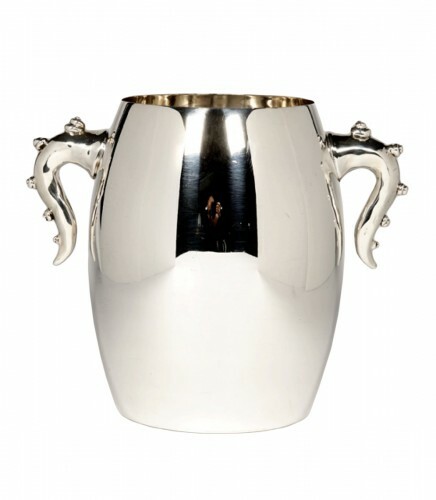 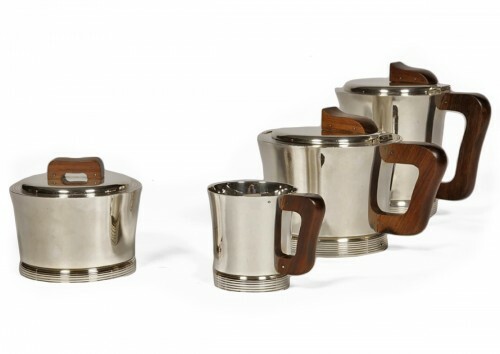 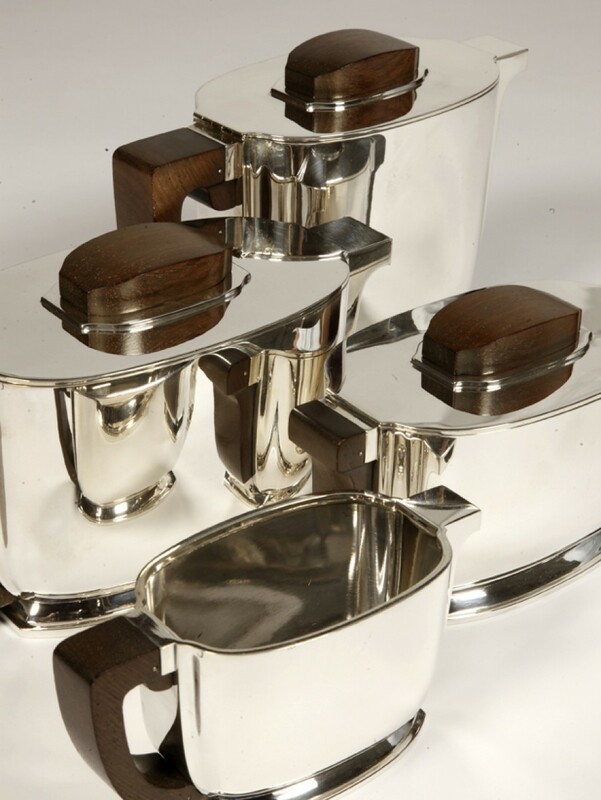 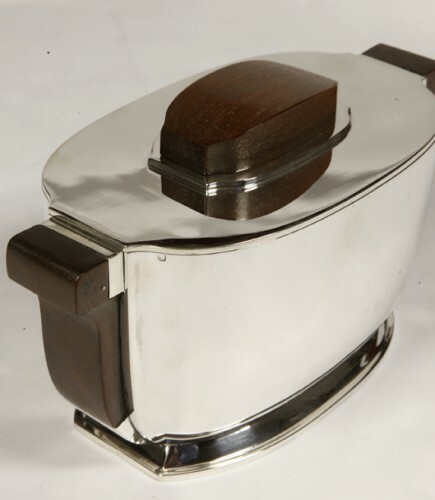 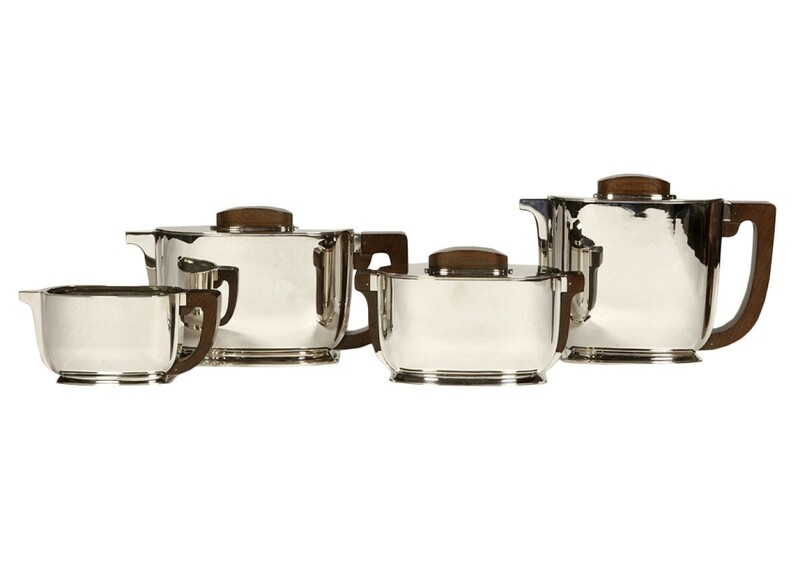 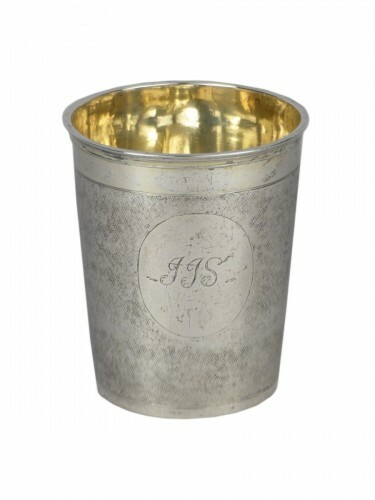 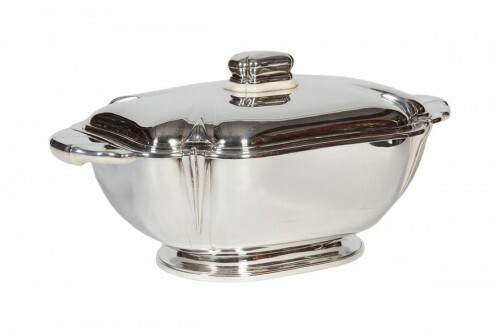 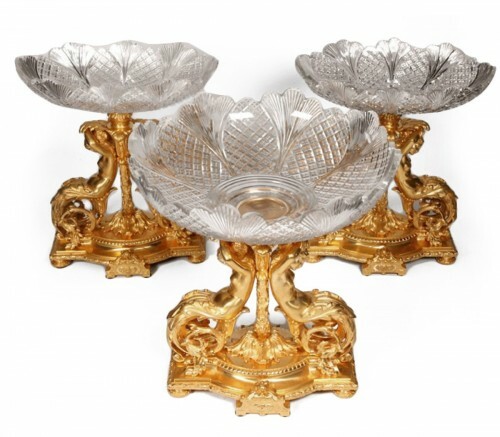 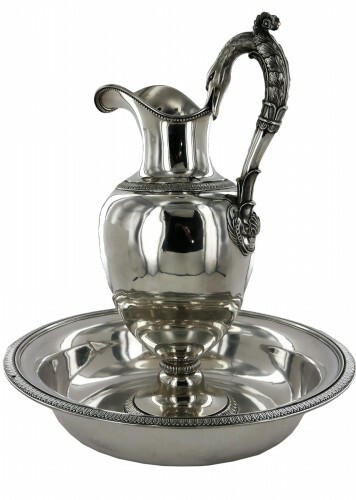 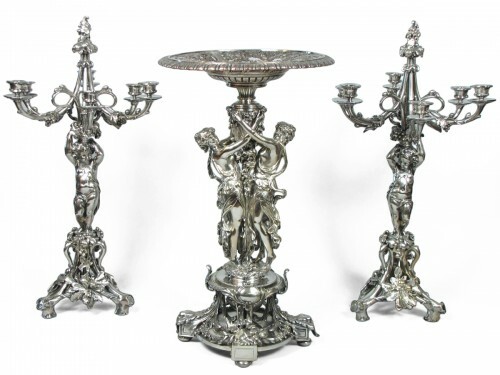 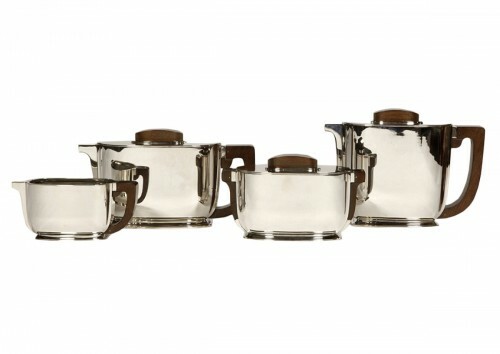 Coffee service in sterling silver oblong shape on a pedestal. 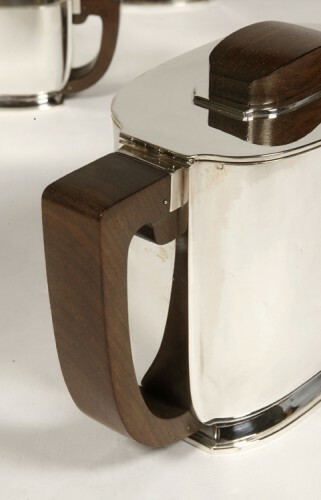 the pouring beaks are geometrical in section, the handles in Indian rosewood. 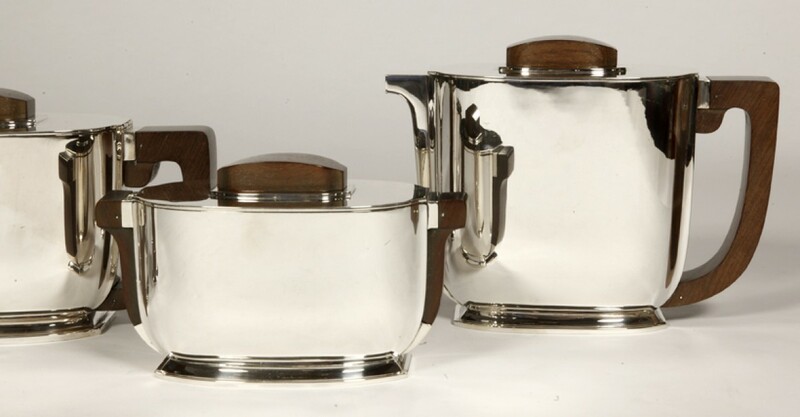 it includes a coffee pot, a teapot, a covered sugar bowl and a milk jug.